Amazon has made a new Kindle Paperwhite e-reader available for pre-order. The device will be released on November 7, 2018. The new device is thinner and lighter than the previous generation of Paperwhite. And, yes, that means a new size cover. According to the specs for the new cover, it will not fit any of the previous Paperwhites. The new Paperwhite has more LEDs so it is brighter than the previous generation. The screen is now flush with the bezel of the e-reader. It’s waterproof: IPX8 rated to protect against accidental immersion in up to two meters of fresh water for up to 60 minutes. Audible compatibility. Amazon had added Bluetooth so you can pair with headphones or speakers. The device is now Whispersync For Voice compatible, so you can not only sync across devices, but can switch back and forth between the ebook and Audible versions of a book. The new Kindle Paperwhite also includes the ability to invert black and white text, allowing for nighttime reading with white text on a black background. That is one of my favorite features from the Kindle Oasis and it is exciting to see it available on the Paperwhite. I will be on the look out for 3rd-party covers for this new model and will do a post as soon as new covers are available. 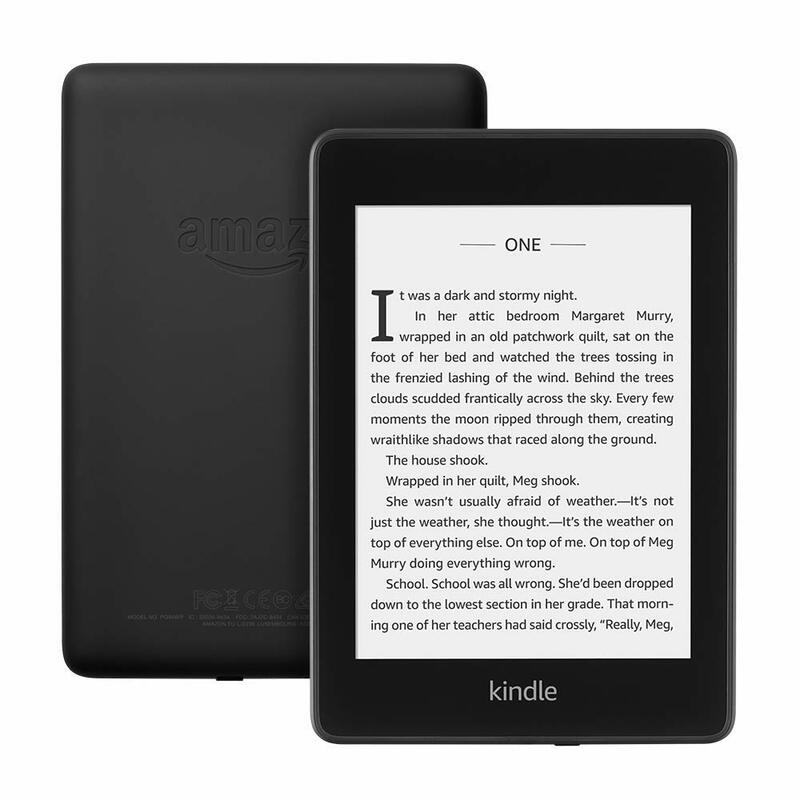 Kindle Unlimited – Amazon is offering 6 months of Kindle Unlimited free with the purchase of a new Paperwhite. The Kindle Unlimited a subscription service that offers unlimited reading of books, magazines and audiobooks. Offer is only available after purchase and terms and conditions apply. The new Kindle Paperwhite prices start at $129.99 (only $10 more than the previous model). It is available in both Wi-Fi and Wi-Fi + 4G LTE models. Complete specs are here. So, what do you think? Are these new features worth an upgrade to you? This entry was posted in eReaders and tagged covers, Kindle covers, Kindle Paperwhite, Kindle Unlimited, trade-in. Bookmark the permalink. Can’t find this answered anywhere yet. Do we know if the LED’s will have an adjustable color temperature? The only reason I haven’t gotten a Kindle is because the LED’s are a cold blue which is bad for your eyes at night. Almost got a Nook because it has a warm option for the lighting. Any idea yet if this new Paperwhite will have that? It’s pretty much a dealbreaker for me if it is still using that terrible blue light. From the reading of the specs, it seems apparent that it DOES NOT feature an adjustable color feature like some of the Kobo e-readers and the NOOK Glowlight 3. None of the videos I have seen so far show that type of lighting. A lot of people were hoping for that feature on the next Kindle. I think I might be tempted to put this on my Christmas list. Thanks for listing a fabric cover, by the way!